This wonderful eight-day itinerary not only includes some of Europe's most romantic cities on the Danube, but also offers readers the chance to see a private performance by Strictly Come Dancing stars Anton and Erin in Vienna, home of the waltz. The nation's favourite ballroom couple will take part in a fascinating Q&A session at the Vienna Arsenal and a dance masterclass on board your luxury river cruise ship. It's a fantastic opportunity to discover the delights of the Danube while meeting the most respected couple in ballroom dancing today. Return flights, taxes and transfers. 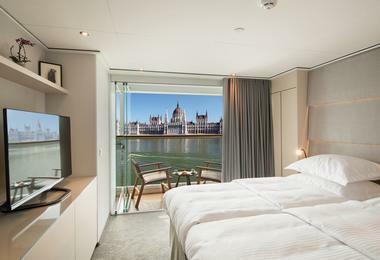 Seven nights' luxury river cruise ship accommodation. All on-board meals, and drinks with lunch and dinner. All activities and excursions (as listed) including performance, masterclass and Q&A with Anton and Erin. * Price based on two sharing a Panorama Balcony Suite. Offer is subject to availability. Prices shown include relevant discounts. Subject to availability. Welcome to Budapest! You will be met and transferred from the airport to your Emerald Waterways luxury river cruise ship. After boarding, enjoy some time at your leisure to explore Budapest, the capital and most populous city in Hungary. Visit the parliament building, St Stephen's Basilica, Heroes Square and local galleries, before embarking the ship. This evening, join your fellow travellers with a traditional Hungarian welcome dinner. Later, enjoy a Hungarian folk dancing and music performance on board. 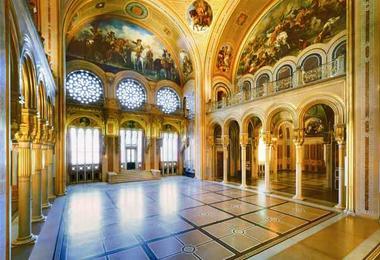 Budapest is Eastern Europe's liveliest and most cosmopolitan city. Enjoy a guided tour of the city sights including the Hungarian Parliament Building, the Buda Castle and the Chain Bridge linking Buda and Pest or an exciting hike on the Buda Hill. This afternoon you depart for Bratislava. Welcome to Vienna, the capital of classical music. 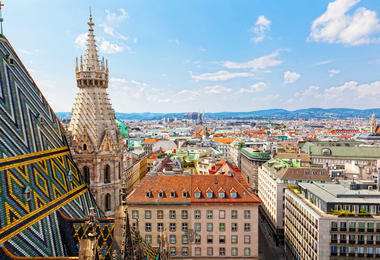 Today, you have a choice of either exploring Austria's capital beginning with a drive along the magnificent Ringstrasse, where we will see the sights of the Vienna's world-famous attractions such as the Opera House, Burgtheater, Town Hall, St. Stephen's Cathedral and the Hofburg Imperial Palace. 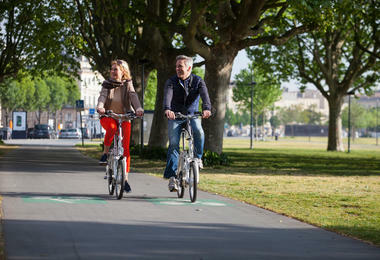 If you feel active, join the guided bike tour instead of the drive around and guided walk. Tonight you will see Anton and Erin perform an exclusive, one-off showcase at the beautiful and historic Vienna Arsenal. It promises to be an unforgettable evening of music and dance. They'll also take part in an intimate Q&A session this evening, so get your questions ready! In the morning we arrive in Dürnstein, one of the most enchanting villages of the Wachau wine region. This is the site of the castle where Richard the Lionheart was imprisoned after returning from the crusades in the 12th century. 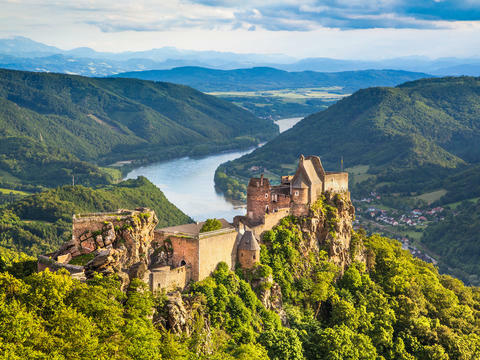 Thereafter, you will drive through the picturesque landscape of this district to the 900-year old Benedictine Abbey of Melk, which features Austria's finest Italian baroque architecture. Inspired from last night's performance, you'll have the chance to learn from Anton and Erin as they give a private ballroom masterclass to guests on board the ship, full of their expert tips and passion for dance. Cruise along the Danube this morning, and in the afternoon, visit Passau with its museums and monasteries. Cobblestone streets and graceful arcades welcome you in this beautiful German city. On this afternoon's walking tour, stroll through the old town's narrow alleys and see the hilltop Oberhaus Fortress from the town below. You can also view the town from above from the fantastic Oberhausmuseum. Visit St. Stephen's Cathedral, a wonderful example of Baroque architecture and home to Europe's largest church organ with more than 17,000 pipes. After breakfast, we arrive in magnificent Regensburg. On our guided walking tour, you will have the chance to see one of the oldest bridges crossing the Danube, Regensberg's characteristic Old Stone Bridge, and see the city's architectural highlights including the Old Town Hall, as well as its statue of Don Juan de Austria, and its many churches and museums. After breakfast, it is time to disembark the ship for your transfer from Nuremberg to Munich Airport. Bid your fellow passengers farewell return home with fantastic memories of your European holiday dancing with the stars. Emerald Waterways offers classic river cruises on board spacious, modern ships - its award-winning, state-of-the-art fleet is the newest in Europe. 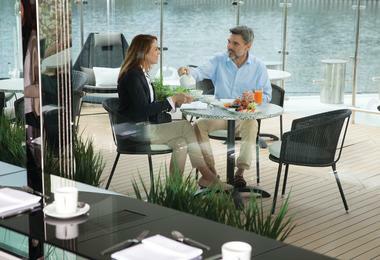 To view Emerald Waterways’ supplier’s terms and conditions click here.